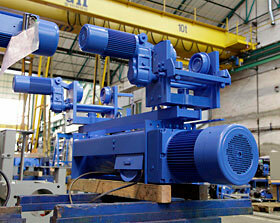 Hoist | GH crane and hoist manufacturer. Cutting-edge design technology, highly sophisticated production resources and efficient organization have placed GH among Europe´s top lifting equipment manufacturers. 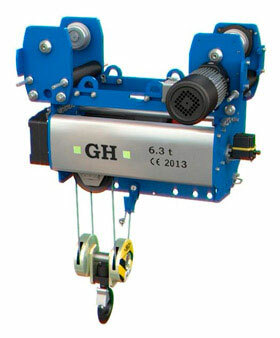 GH wire rope hoists, for bridge, gantry and semi-gantry cranes, single and double girder, and other type of applications. From 800 Kg to 100 ton of capacity, in different versions: Foot Mounted, single and double girder. Rugged and compact, modular construction and easy maintenance, with different cable strands, that allow a wide range of hook paths, lifting speed and working group FEM / ISO depending on the demands of starts per hour and duty cycles of loads to be lifted. 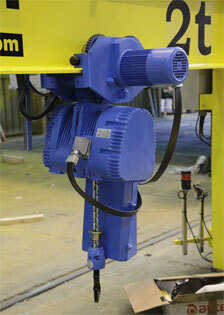 GH hoists are fitted with a standard control system and monitoring of Safe Operation Period. The possibility to check in any moment the actual use of your machine will help the preventive maintenance. 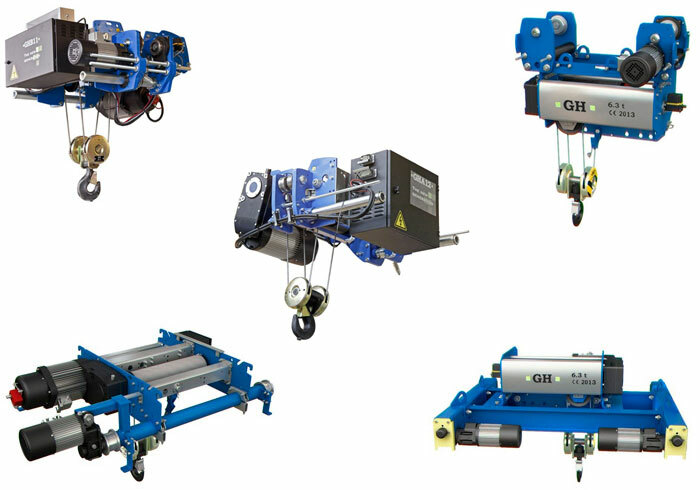 The range of GH hoists have been designed with the following principles; reliability, security, durability, price and easy maintenance. The design is rectangular, modern, compact with perfect dimensional balance. The low headroom configuration is the standard for the best use of under-beam space in single girder cranes. The perfect solution when moving loads along paths with turns and changes of direction. The highest quality at best price in double girder cranes. 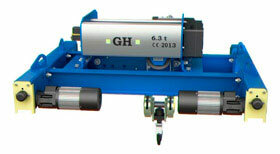 This GH hoist is the most compact double girder hoist available in the market. A simple and robust design gives it a competitive advantage. 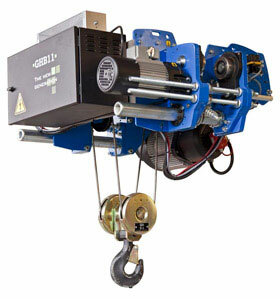 GH Chain hoists, for single girder EOT, jib crane, gantry and semi-gantry cranes, and other applications. 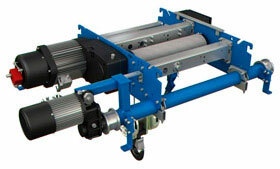 From 100 kg to 5000 kg of capacity, in versions: fixed, single girder, manual trolley, motorized trolley. Rugged and compact, of modular construction and easy maintenance. 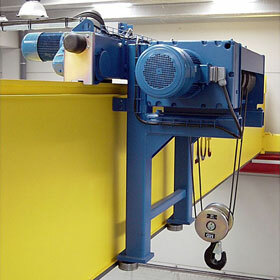 GH has developed hoists for extreme environments: galvanizing plants, high acid concentration baths, dust, etc.